The most important support that I can provide to my faculty is feedback. It is essential in all that we do in my building. It is something that I work to do more – provide faculty with quality, timely feedback on what I see in their classrooms. However, we had a major issue. 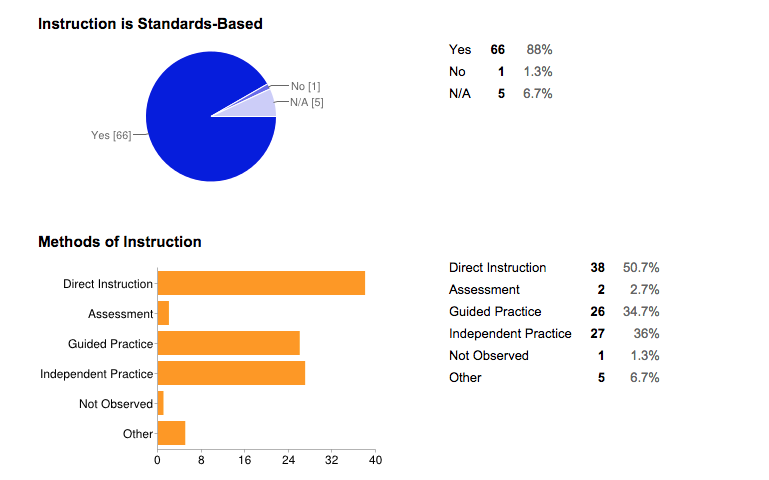 While the administration was getting the data, the teachers were not getting the feedback. We were often having to do additional work by sending an email or typing feedback into our evaluation system to get it to the teacher. This process takes too long and required double the work. Enter, autoCrat; an add-on that lives in Google Drive. This add-on takes a feedback form template that we created and merges all of the data from the Google Form right into that document and emails it to us as soon as we click submit. We can then simply forward the email to the teacher of the classroom that we walked and done. Often, the teachers have a PDF document sitting in their inbox before I ever leave the classroom. It is like magic. You can try it out below. Click the link and complete the Google Form, which is modeled off of the WT protocol that we use in my building. Once you submit, you will receive an email with the PDF feedback form instantly. I work with schools and districts to customize this process to meet their needs and train their administrators on the process. For more info check out: http://www.meechincg.com. For DIYers, you can check out @principaldurham and his article that details the process here.